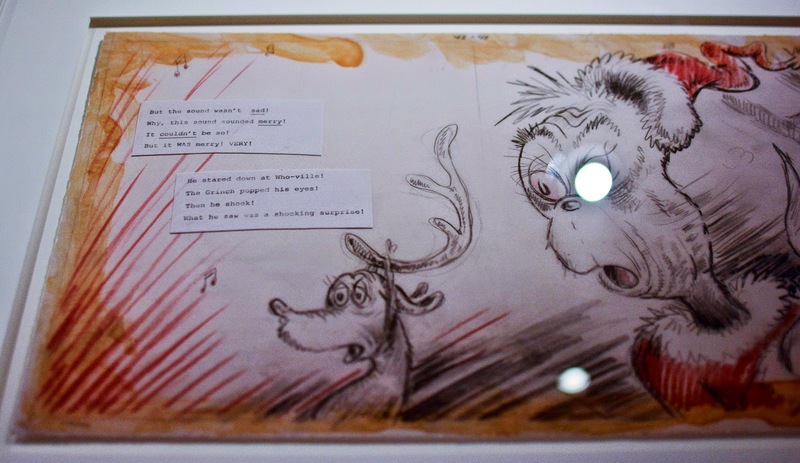 anecdotes, mirrors, & oxford commas: A day of Shopping and Walking #2 // Danish Ice-Cream, Dr Seuss, Books, etc. 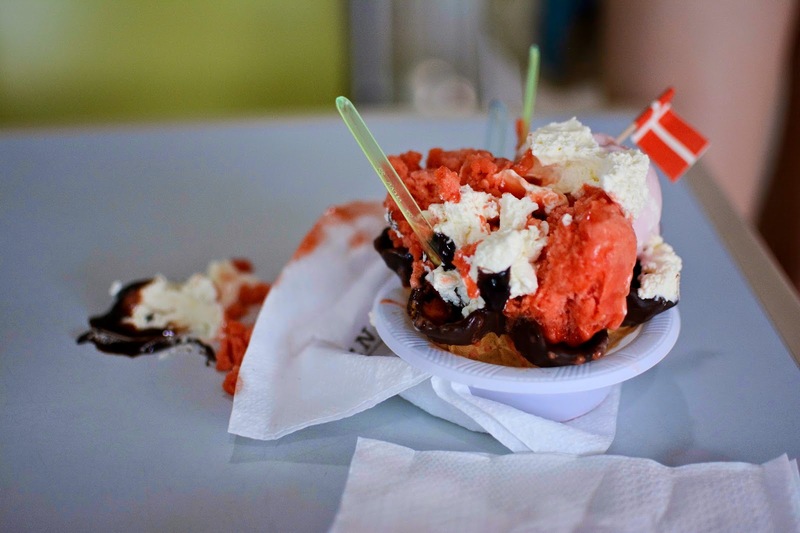 A day of Shopping and Walking #2 // Danish Ice-Cream, Dr Seuss, Books, etc. Went out to the city (again! ); this time with my dear friend RA. Was great timing as she just finished her exams, and I found myself having nothing to do on this fine day, ironically enough. So, we set out to go to the city and use a sweet Groupon voucher that I had purchased a while back. So, in the morning, we decided to head off to Kinokuniya and browse some books. 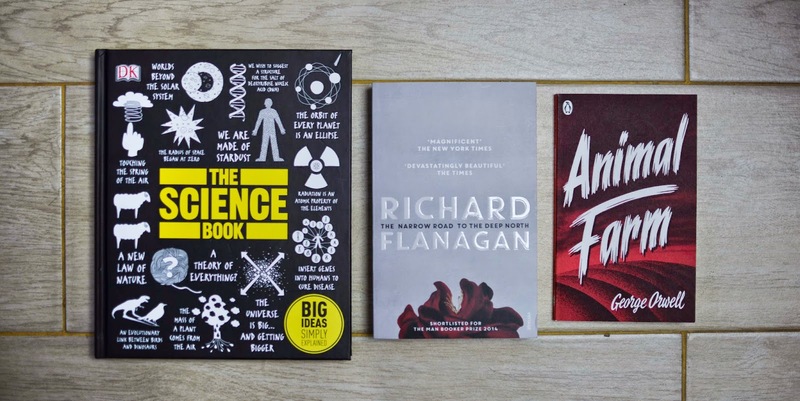 I ended up purchasing a Science book (at the bottom of this post) and also eyeing Lena Dunham's "Not That Kind of Girl", which I later ordered a copy of at Dymocks. After that, we proceeded to walk off to Darling Harbour and attempt to find Anderson's of Denmark's ice-cream store. We walked right past it upon entering the Harbourside Shopping Centre, and thus proceeded to spend a long time walking around on two levels, from one end to the other, searching for this one store. After a severely long time, we decided to try and find Information (there were no directories) to help guide us to this elusive ice-cream parlour, only to find ourselves struggling to locate the Information Desk, despite the many signs pointing to 'Information (i)'. Finally, after a grueling 40 minute walk (though, it's never that tedious when you're with a friend), we finally manage to locate the store, and realise that it was right next to the entrance upon which we entered. Anyway, we sit down and order our food, and decide upon this $10 Sundae Basket of three ice-cream flavours. We decided to choose Blood Orange Sorbet, Hazelnut Roche, and Strawberries and Cream. It was all good and well, and so we sat down ready to eat. Except, as I was lowering the plate onto the table, behold! The entire 'basket' decides to tip over sideways onto the surface. No, I am not kidding. After an intense 30 seconds of panic, hurrying to find tissues, and scooping, we managed to salvage as much as we could. We attempted to clean up the desk, but let's just say we didn't have enough tissues (we even used our emergency supply). So, RA went back to the ice-cream desk to ask for more serviettes. Upon returning and wiping the desk even more, we ran out of tissues once again, so this time I returned to request more. The kind cashier gave us a wealthy supply, but even that was not enough, so RA had to return (once again) to request for more. I can assure you it was one of the most shameful times I've ever had to ask for tissues. Anyway, after a while, we thought we'd go around to Capitol Square and look at Market City. We spent a good deal of time at the claw machines (failure soon followed, and much anguish), and then later decided upon heading back to QVB to walk around and also shop. 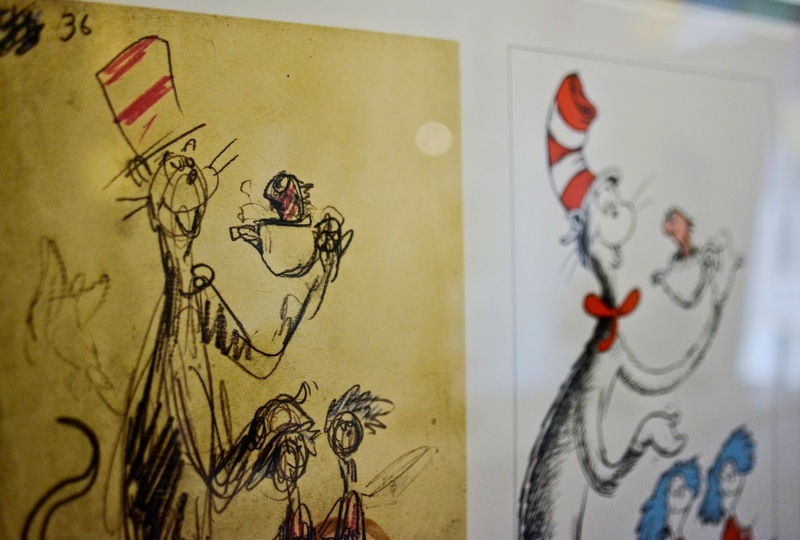 Whilst exploring the place, we stumbled across the 'Art of Dr Seuss' Museum/Store in QVB. Neither of us had ever noticed the existence of this store before, and it was a treasure chest. 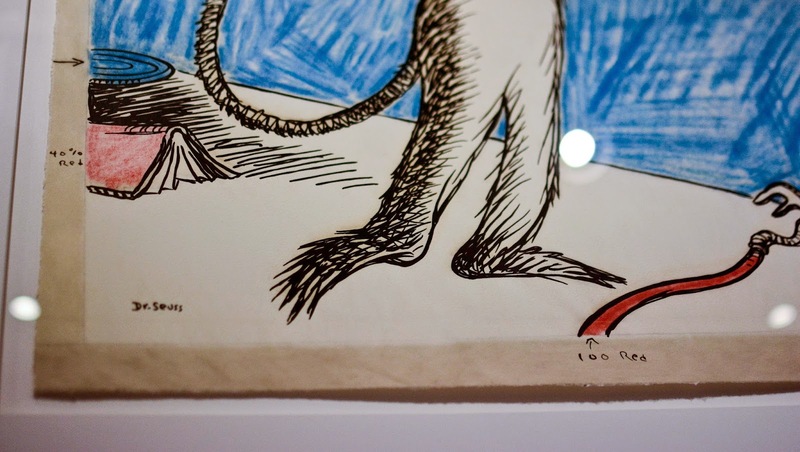 I've always been a big fan of Dr Seuss. I have practically the entire collection, and I sincerely regard him as a great artist. 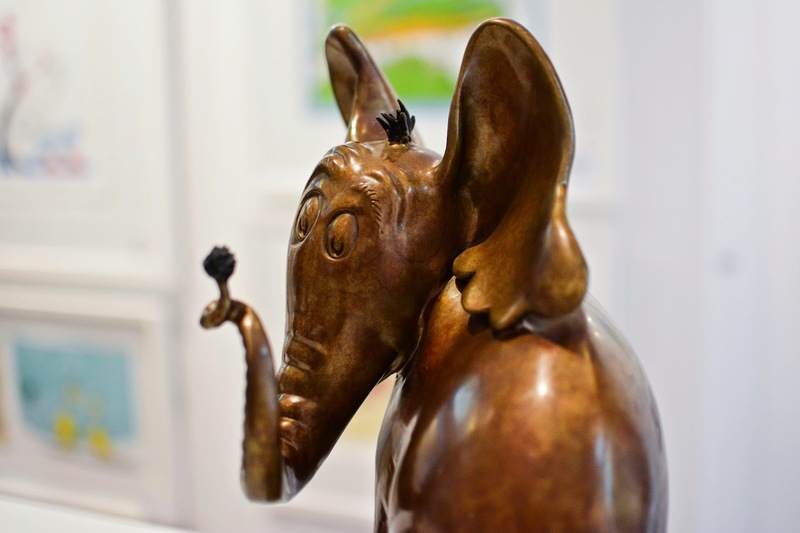 This store was filled with limited edition sculptures, artworks, drafts and canvas artworks (for very pricey amounts) and it was incredible just looking at them all. I think there's something very interesting about looking at concept art. It reveals the thought process behind the final work. It shows you that things are not made perfect first time round. It reminds us that great works of art take a lot of effort and time. I think there's something oddly captivating about that. 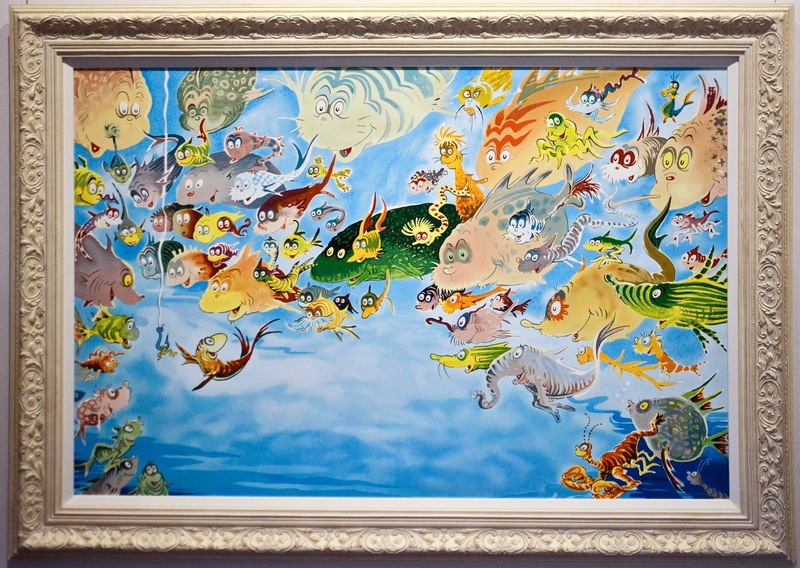 A Plethora of Fish -- Serigraph on Panel. 60cm x 90cm. $16,645. Adapted from the 1947 book, McElligot's Pool -- one of the few books to include fully-developed watercolour paintings for each and every page. Many of the works on display also showed the colour-planning stages of the final work. How does one gauge 40% red? And not to mention other drafts -- even with stuck in text and rough sketches. Anyway, after that, it was time to return home. I also stopped by quickly at Dymocks and purchased two more books (the ones on the left), totaling three from the day. I think I'm quite satisfied. 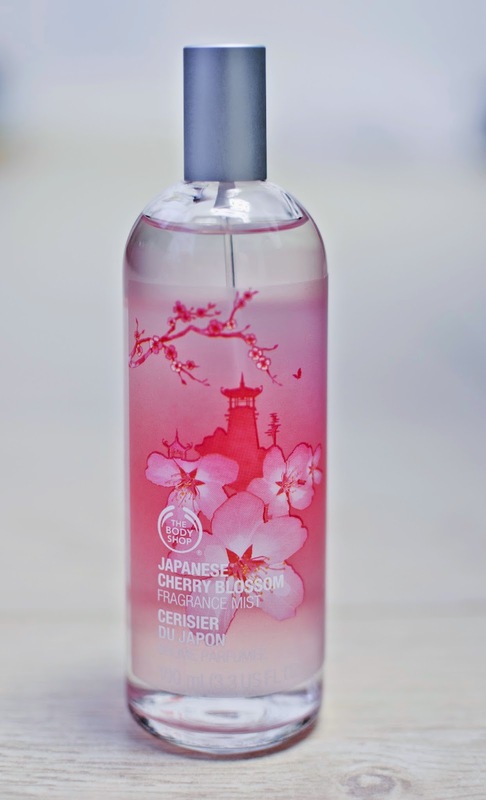 And, also, RA gifted me this Japanese Cherry Blossom Body Mist from the Body Shop, which smells absolutely delightful. Another post is likely due later tonight, because of reasons such as food and flowers, but till then, see you all!